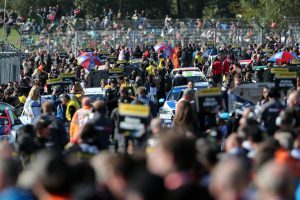 The 2018 Dunlop MSA British Touring Car Championship, the Diamond Jubilee year of the UK’s premier motorsport series’, drew to a close at Brands Hatch today (30 September) with Team BMW’s Colin Turkington crowned champion for the third time in his career. Surging from 14th on the grid, Toyota man Ingram made pass after pass and was lying in fourth during the closing stages. 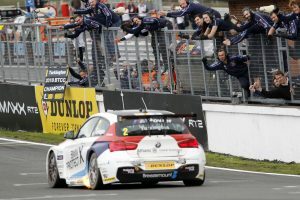 He made a number of attempts to make one more all-important move, but BMW Pirtek Racing’s Andrew Jordan held on ahead of him, helping to secure stablemate Turkington’a BTCC title hat-trick, as well as Manufacturers and Teams glory for BMW. 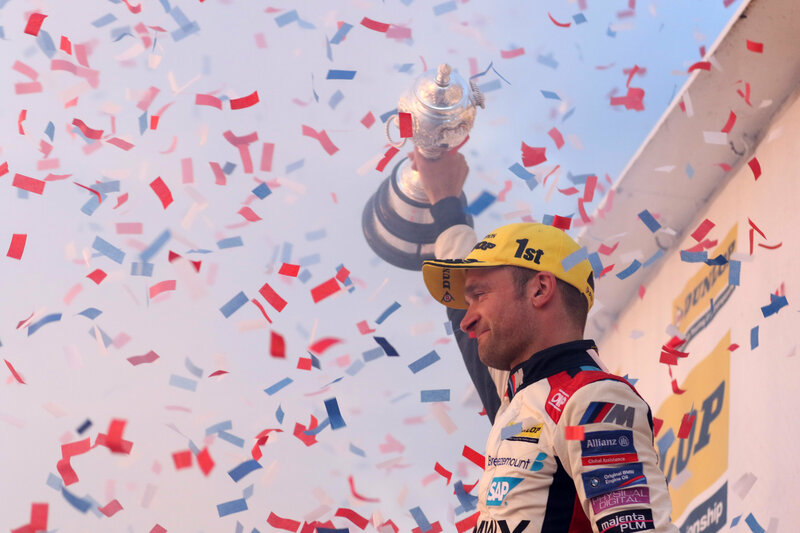 Turkington’s stellar season was one of incredible consistency as he won just one race during the 30-race campaign at Oulton Park in June, but a further ten podium finishes underlined his brilliance. The opener went the way of Halfords Yuasa Racing’s Dan Cammish, a 17th different race winner of the season, as he headed home team-mate Matt Neal, whilst WIX Racing with Eurotech’s Brett Smith completed the podium. DUO Motorsport with HMS Racing’s Rob Austin completed the final podium of the year, himself less than a second behind Sutton, as the popular Alfa Romeo driver took his second rostrum of 2018. The Dunlop MSA British Touring Car Championship will return in 2019 with the season commencing on the Brands Hatch Indy Circuit in April. The series will again comprise of 30 races across ten events, with the Brands Hatch GP circuit again playing host to the season finale. Colin Turkington said: “The emotions are just so raw. I was driving around there preparing for a dogfight in race three thinking â€˜how on earth I was going to get forward’. I wasn’t expecting the news on the radio that I’d won the championship. I’m so pleased for so many people. The first one, I really wanted it for me. It was my goal in 2009 and I wanted it more than anything. “With BMW’s support coming on-board last year, it’s so special to win it for them. It’s an amazing achievement and for West Surrey Racing too, they never give up. We’re always the last in the pits on Saturday evening but we just work, work, work. That’s the secret. We never had the fastest car this year; we just kept at it, scoring points. I’m so pleased for my family. We knew coming into the season that you’ve just got to score points. It’s very difficult to do as you can see from that race. I’ve had one win but ten podiums and they are as good as wins in this championship. Tom Chilton said:“It’s been a fantastic year. Considering that we got off to a slow start, all the stars aligned. The team have been amazing; I just had to keeping kicking the gears and scoring points. I’m a bit frustrated that I didn’t manage to win the Independents’ championship, that’s the only downer from the season. But if I’m honest, third overall is epic. Dan Cammish said: “What a great day, I’m really proud of the guys and the team. The fact Matt (Neal) was second shows how much potential we’ve had. To get my first win is just great, what a fantastic moment. There’s not a better place than Brands Hatch to do it, and in the sun too.